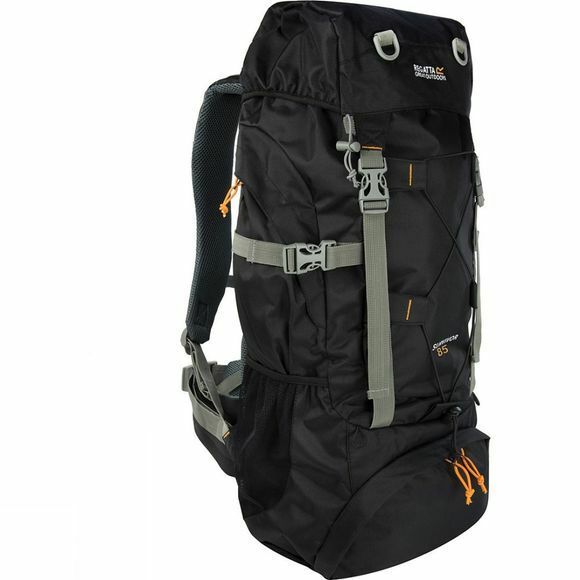 The Survivor III 85L Rucksack from Regatta with up to 85 litre capacity. Made from tough–wearing ripstop fabric with a mesh airflow back construction. Weight is stabilised with an internal metal frame and an adjustable chest and hip belt. Further features include multiple pockets and a detachable rain cover.